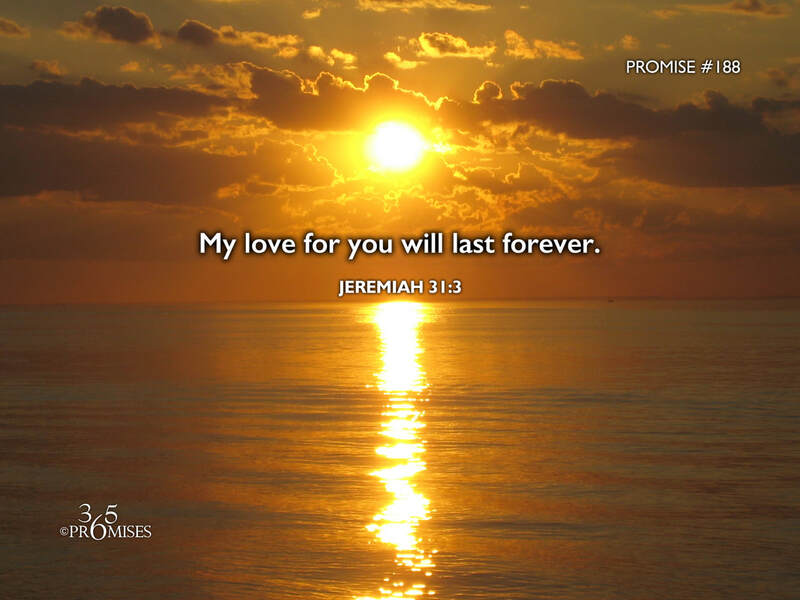 What does it mean for God to love us with an everlasting love? My dear friend, Jack Winter, once told me that being loved with an everlasting love meant that there was never a time in all eternity when I wasn't loved. I was loved before the foundation of the world (Ephesians 1:3-6), I was loved when I was knit together in my mother's womb (Psalm 139:13), and I was loved on the day I was born (Psalm 71:6). Father, I desire that they also whom you have given me be with me where I am, that they may see my glory, which you have given me, for you loved me before the foundation of the world. (WEB) This was the most important thing on Jesus' radar. That He was loved by the Father with an everlasting love. The reality is that we have all been loved as much as Jesus has been loved by the Father (John 17:23), even from the very foundation of the world (Ephesians 1:4-6). I believe the more that we become aware of how much love our Father lavishes on us (1 John 3:1), the more we will become convinced that nothing in all creation will ever separate us from that amazing love (Romans 8:38-39). The truth is that our Father not only loves you, He IS loving you right now. It is my prayer that today, we all might be more aware of the intense, eternal, immeasurable love that God loves us with yesterday, today and forever!